A development proposal was recently submitted for a 230 foot-tall, 17 storey tower block on a tiny 100ft x 100ft plot of land in Tanjung Bungah, Penang. This is located just 20 feet from the fences of an adjacent 2-storey bungalow, and residential buildings. Despite protests from local residents and expats living in the area, the proposal has how landed on the desk of the Chief Minister for approval. The proposal has now been reduced to 11 storeys (10 floors plus a roof structure) and nearly 150-feet high. Residents of Tanjung Bungah Beach Condominium, Infinity Residence, and local residents in Tanjung Bungah have submitted a petition to the Chief Minister. The petition calls on the Chief Minister and the MPP to reinstate and apply the graduated setback rules for high-rise towers in residential zones. If approved, the development would condemn the beautiful Tanjung Bungah coastline to unrestrained high-rise development of all remaining low-rise homes in the area. Residents of Tanjung Bungah Beach Condominium, Infinity Residence, and local residents in Tanjung Bungah feel that the approval of this application would spell disaster for homeowners in Penang, who would no longer be able to rely on the application of sensible planning restrictions with consideration of local residents’ rights and well-being to prevent high-rises being erected in the next door garden. 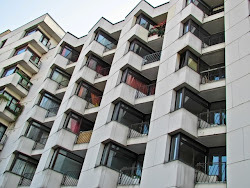 - The density of 6 units exceeds the allowed density under the zoning rules. - The setback of 20 feet from the boundary is completely inadequate for a 10 storey tower block and should be 50 feet for the upper floors according to existing rules which appear to have been ignored. If 20 feet is the new setback for tall towers, this sets a very dangerous precedent indeed. - There will be high risk of accident from any construction cranes “overflying” TBC (Tanjung Bungah) car park and/or clubhouse during the estimated 2 year construction period. - The development would attract heavy construction traffic during the construction period in the small lane causing congestion, noise, dirt and dust. - The development would attract additional traffic and parking in the small lane after completion causing congestion and noise. All of this is at risk if this project were allowed to proceed on the basis of flawed and subjective planning rules applied at the discretion of the Chief Minister. The residents have also stressed that they are not opposed to developments in Tanjung Bungah, as long as these developments add to the quality of life and do not unreasonably infringe on the rights of existing homeowners. They believe this principle should be applied for the benefit of all Penang people in an objective and transparent manner. must add more voices to increase on the volume! !...just so that we want our rights too! !